Our community of marketers shared their top email campaigns. They also shared the reasons they worked so well. When’s the last time your clickthrough rate for an email campaign rose above 25%? If your answer is “never”, don’t worry! That is perfectly normal. But, we wanted to learn about the tactics that lead to outrageously successful email campaigns. 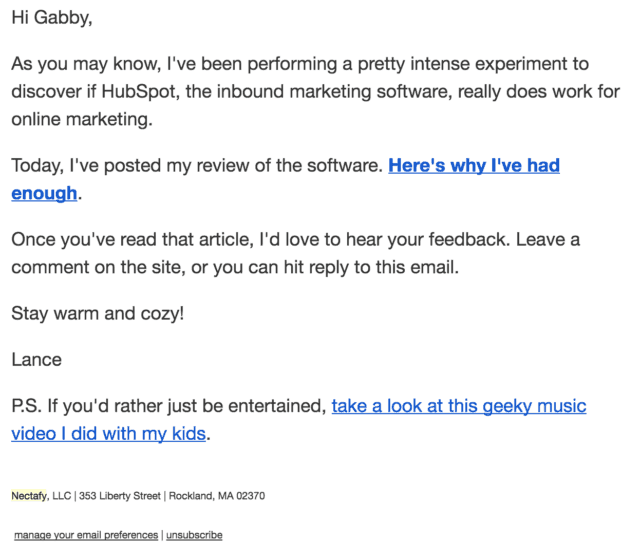 So, we asked our community of expert marketers to share their top performing email campaigns. These marketers and their companies have sent out thousands of campaigns, so they’ve had plenty of chances to experiment and find the right formulas. Not only did we receive individual emails, but we also learned about nurturing sequences with exceptional returns. 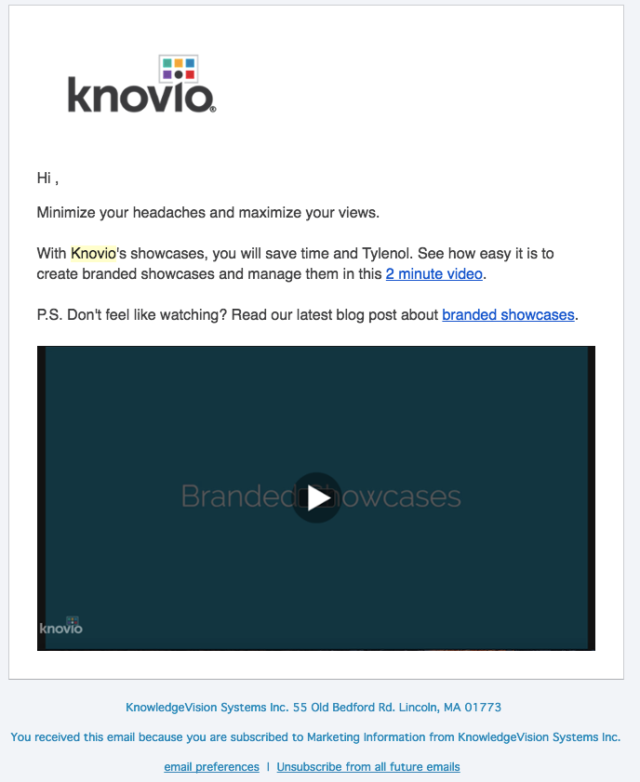 Check out the email messages and campaigns below to discover strategies you can test on your list. If you want to pack a punch with words, don’t assume that you will get it right the first time with a stroke of genius. You can test out different messages with your audience before choosing the best one to send to your list. Why It Did Well: “May was a strong month overall, as 3 of our top 10 emails in the last year were delivered that month. The subject line, “J.J. Abrams wrote a book unlike any other” was tied to the top feature article in the newsletter, which we know typically improves click rates. If you stay in contact with your customers, you should know the new trends that everyone is trying to understand. Use these as inspiration for content, and make sure you capitalize on FOMO (fear of missing out). This is a famous direct marketing tactic. Your audience may be fatigued of hearing you and others in the industry cover the same topics over and over again. If you want to switch it up, make sure it is as obvious as possible. This will call attention to your unique voice. Why It Did Well: “Here’s what I had in mind for a prank: First, I wanted to give my company’s website a makeover — so that instead of promoting all things inbound marketing, we were strongly advising against it. And then, I wanted to create and send out a marketing email with a similar message to prank our contact base. I sent the live link to a few friends in the inbound community. It was after hearing positive responses from the community that I saw an opportunity to take the joke to the next level. What about sending out a prank email campaign? Why It Did Well: “For starters, we didn’t send the email to *everyone* in our database. 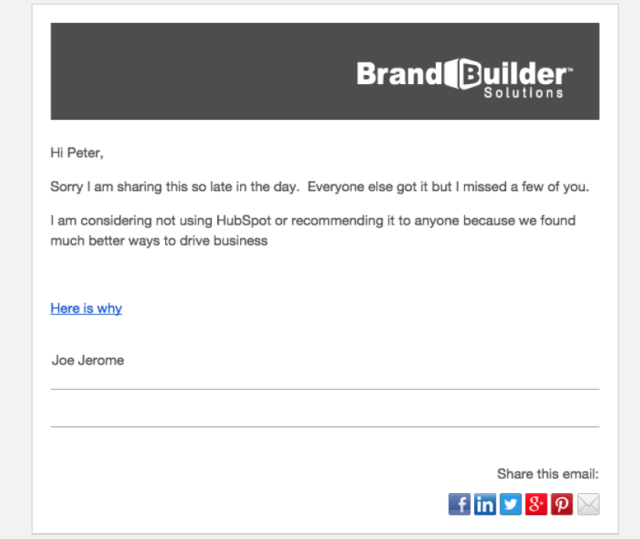 Instead, the email was targeted to a specific recipient list—those who know HubSpot (at least to some extent) and who would get value out of an email pertaining to HubSpot. Some software users sign up for new products all the time. For example, I’m amazed at the number of people who sign up for Databox and don’t even connect any of their data sources. Using email to get users to return is key. Make sure you’re sending messages that help your prospects see the value in your product and service quickly. Why It Did Well: “The Trial to Customer nurture campaign we setup for Tradovate has increased net new paying accounts by nearly 4x month-over-month, and was pointed to as a milestone for the company since the campaign was launched. Don’t force yourself to dream up one email that will satisfy all your subscribers. It won’t work. Instead, use marketing automation to segment your subscribers, and set variations that take customer data into account . Why It Did Well: “This campaign consisted of a series of workflows and email drip automation based on individual content submissions. We analyzed the types of content that subscribers were downloading and based on their interests and pain-points, set up a cadence of relevant emails with personalized with smart content and personalization tokens. Once you have achieved product-market fit, you should know the challenges that your customers struggle with on a daily basis. Create a hypothesis around your top value proposition, and see if email engagement supports that hypothesis. 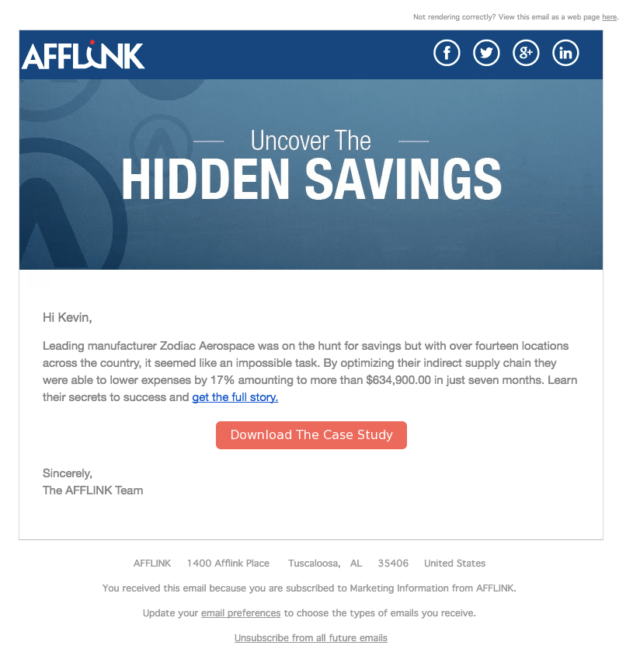 Why It Did Well: “With this email campaign, we isolated the pain points of price, customer service, and various feature advantages we have over competitors, and that we believed were valuable to these prospects. This really resonated with our target audience and we saw great open rates and better than expected CTR. You should craft your emails around each prospect’s level of awareness (there are 5 stages). 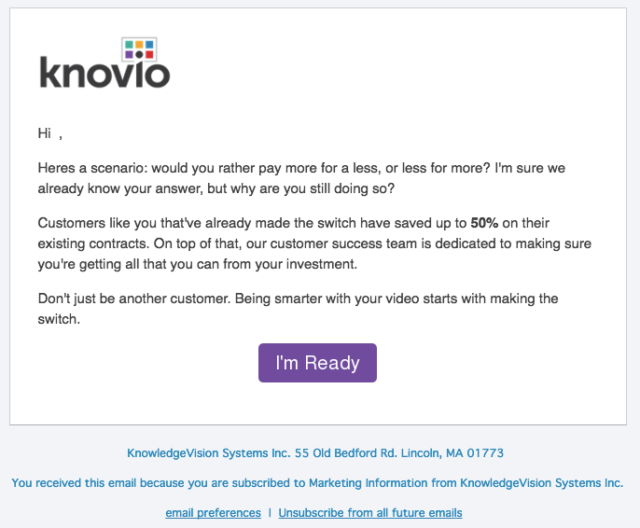 If you immediately start sending emails about your product to subscribers, you risk alienating the list members who haven’t thought about whether they have the problem you solve. 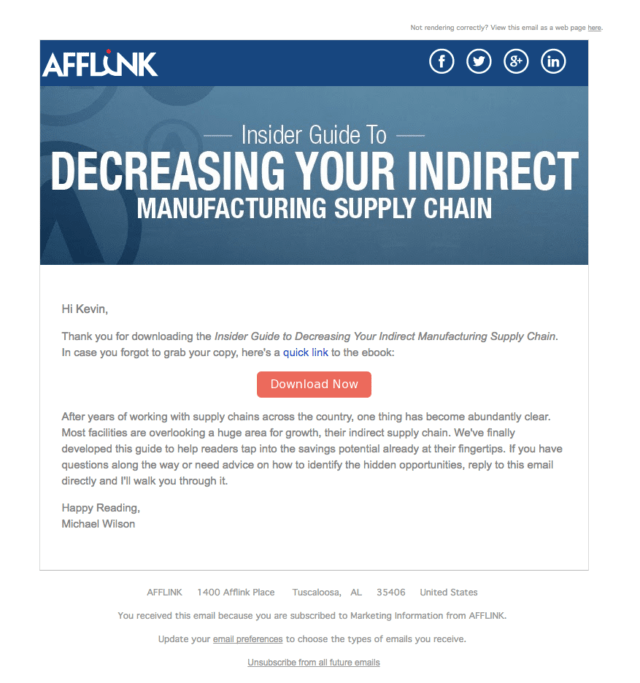 Why It Did Well: “The goal of this email workflow campaign (also referred to as a drip campaign) was to nurture a marketing qualified lead to a sales qualified lead, ultimately converting them into a customer. 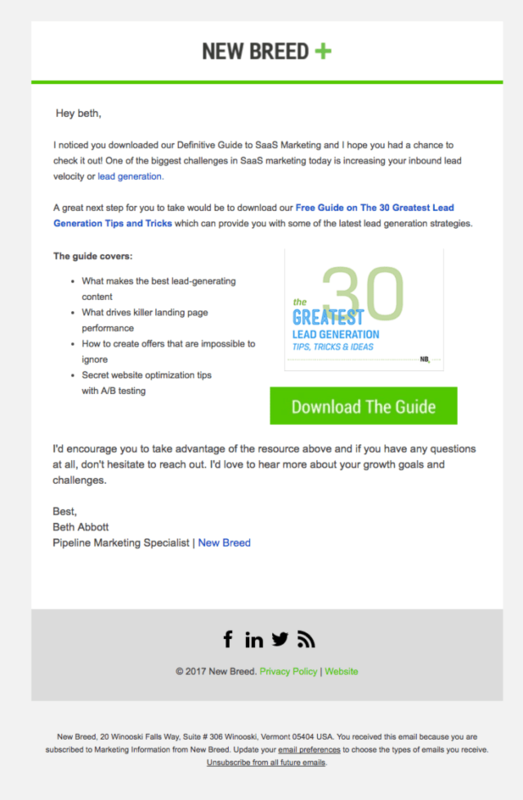 After downloading an ebook, we send four emails with related content over the course of three weeks. This gives the sales team enough time to research the prospect and schedule a meeting. 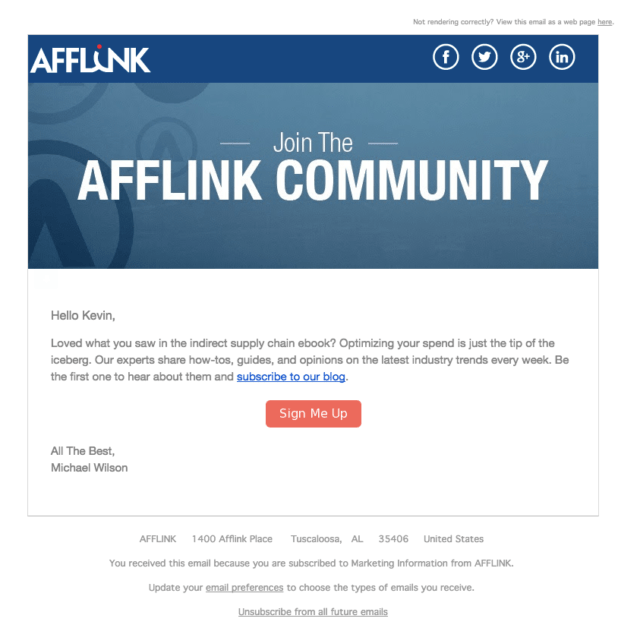 Armed with helpful content and exposed to reoccurring touch points from AFFLINK, leads are more educated about the problems the solution solves. This workflow begins with an ebook download. Website visitors download an ebook for many reasons. We received a mix of marketing qualified leads looking for solutions, students doing research, and competitors surveying the landscape. Because not every ebook downloader is a good fit, there was naturally a drop off in open rates as our workflow campaign progresssed. But it helped us sort out the marketing qualified leads from the duds and that’s exactly why our campaign was a success. 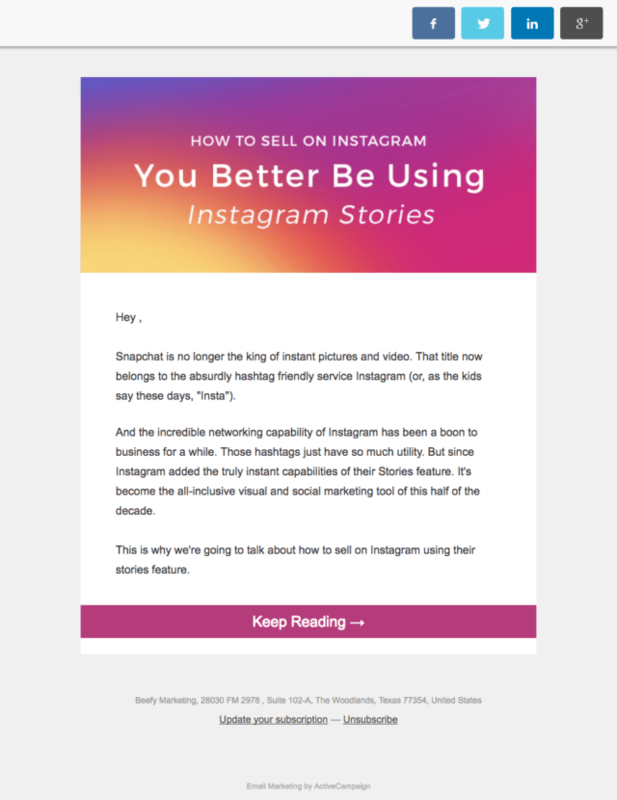 We were able to push the right types of leads further down the funnel with helpful content without being too sales’y. Tailor the Message to the Stage of buyer’s journey: How knowledgable is the recipient about the solution or product? If a person has not even signed up for a trial or demo, they are not ready for content specific to the product yet. They need content that highlights potential problems they might have. Make Copy Concise and Calls to Action Compelling: The reader has a limited attention span. If you are not phrasing your emails with words they might use, or touching on subjects they intimately care about, you will lose their attention. What are you doing to set your brand apart from all the other emails in the subscriber’s inbox? The best emails above used provocation to grab attention. 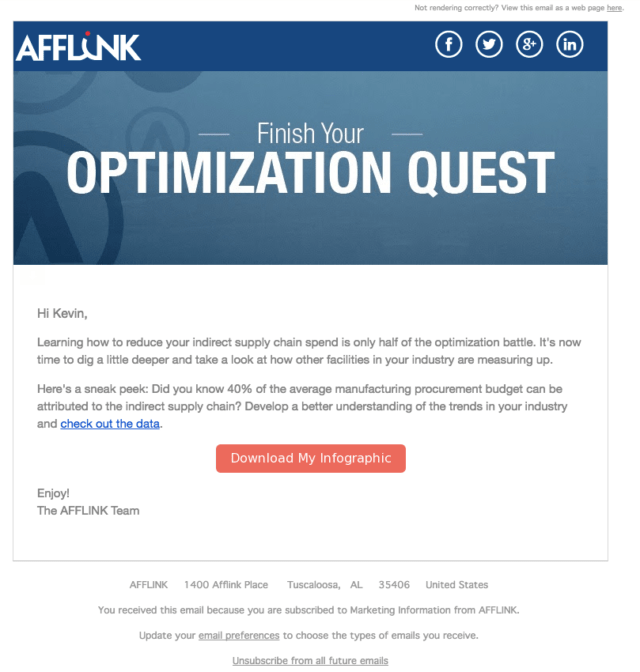 Segment Subscribers into Lists and Send Tailored Messaging to Each List: You should should be gathering valuable customer data and integrating it into your email marketing service. That way, you can target specific messages to certain users or members of your list. Even the best email marketers can’t send one general email to many types of personas and expect results. 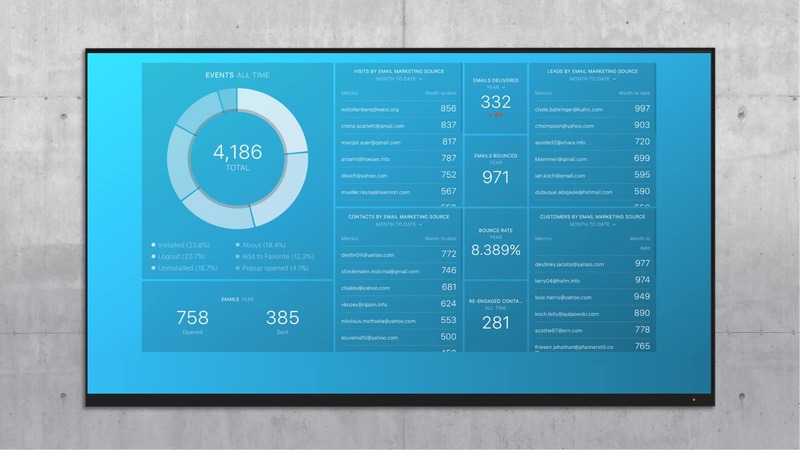 Use Marketing Automation: Using the right technology matters. Many of the example campaigns above could not have been executed without marketing automation. Segmenting lists, sending different messages based on actions individual recipients take (like starting a trial) and sending to individual recipients based on when they last opened emails requires advanced tools. 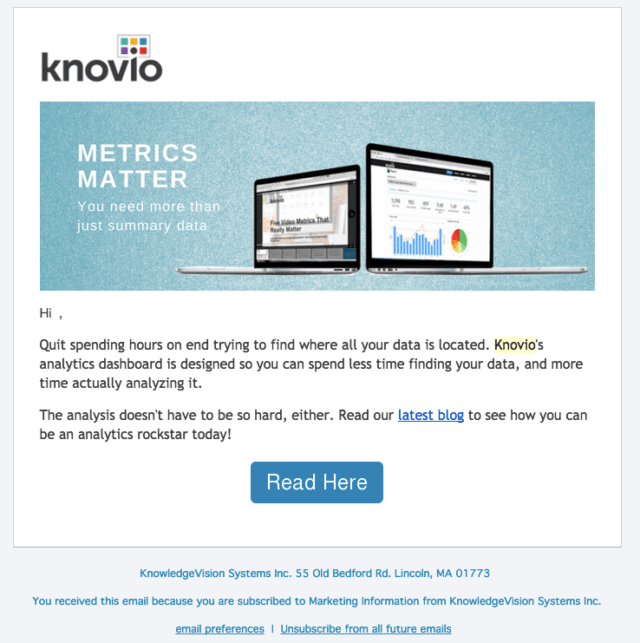 You can’t pull some of that off with basic email marketing software.